Completed 2005. Ordered by employees as a gift for their plane-owner employer. 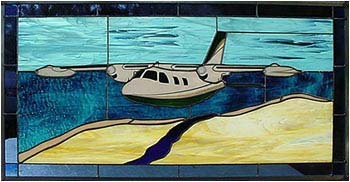 Plane depicted in flight over coastal landscape.